If I find the original link I’ll post it up (credit where credit is due!). Obviously, feel free to make without the choc or to add whatever else you think might work! Enjoy these warm or cold, they also freeze well. Thanks for your sweet comment on my blog today! I really appreciate that you took the time to read the post about my faith. I remember the days of Psychology Research tests! They were always the most stressful. 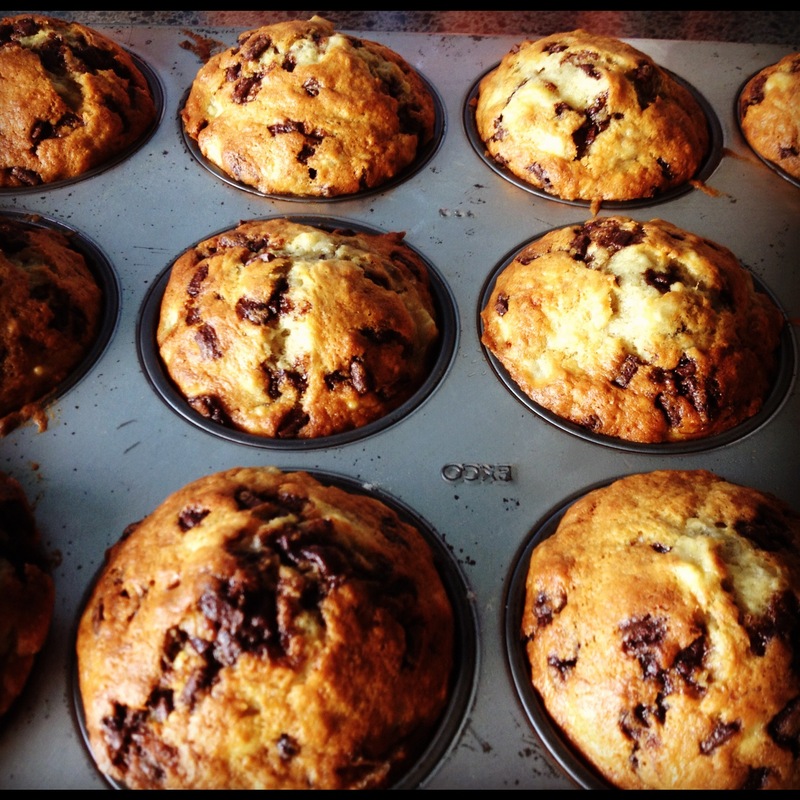 Hope you rocked it Those muffins look absolutely amazing and I am definitely borrowing this recipe! Made these muffins today for a new neighbor moving in and they turned out fantastic! I doubled the recipe and used 7 bananas, but exactly doubled everything else. The muffins are very moist and can’t wait to hear how the neighbors like them. My kids (5 and 3) love them as well, and I love that I can make a big batch (and they each helped me today by mixing and measuring) and we can have some all week for mornings before preschool. Easy and healthy (non-processed like a lot of the quick frozen junk they sell) for those rushed mornings. Thanks for sharing the recipe! We are really enjoying them!